From interior decorating to exterior siding, Sterling Carpet One Floor & Home offers several types of siding manufacturers as well as doors and windows! We work with many different siding manufacturers that offer efficiency, durability, and even green products for an eco-friendly option. Our process is simple! Set up an appointment to discuss siding options at your home or building where services are needed. Based on our initial conversation, we will work up an accurate estimate for you to approve. Our professionals discuss differences of performance versus cost, including windows, doors, trims and accents. We take into consideration your timeline to ensure we meet your expectations and help you make the best decision. Once the estimate has been approved, materials are ordered and the project is scheduled for install. Learn about our different siding options at Sterling Carpet One! Offering the utmost protection for your home, steel siding is the most durable among any siding options and is little, to-no maintenance. 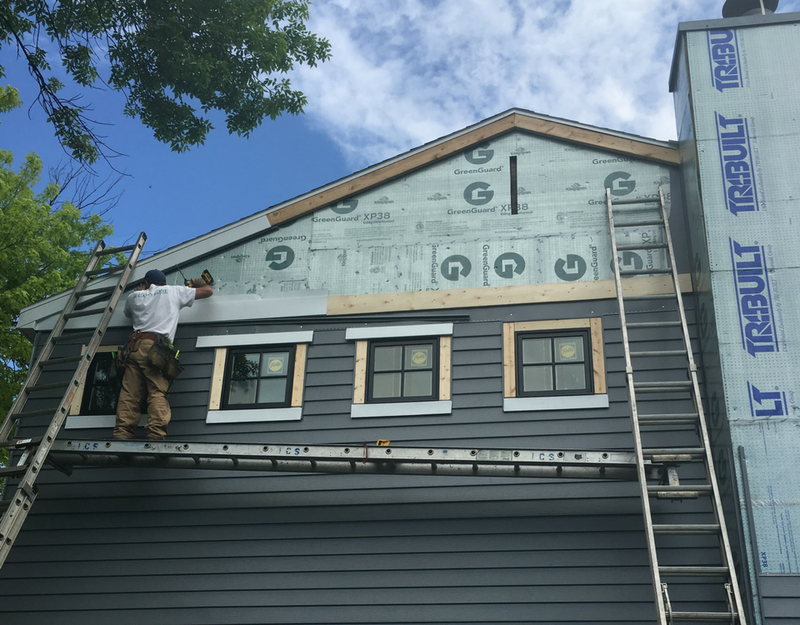 Without the worry of re-painting faded siding or severe weather conditions, steel siding is rated the best for superior performance and weather endurance. With stronger panels, seams are tighter, which means they are energy efficient! Selecting steel siding reduces fading over time and is resistant to fires fire and is impact resistant. Steel siding is also 100% recyclable. 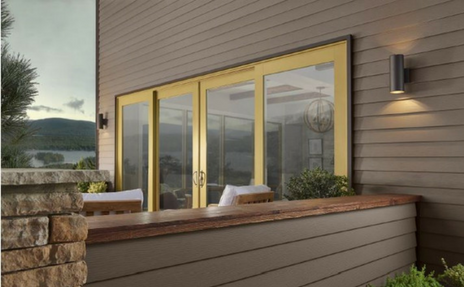 Providing a vast array of color options, Klauer offers peace of mind with their steel siding. Creating siding for over 145 years, profile options include seamless siding coil, shake and shingle accent panels, Dutch lap double, and more. Providing the look and feel of real wood, yet without having to worry about re-painting or insects that are associated with traditional wood products, Quality Edge’s TrueCedar steel siding adds a unique style and texture to residential homes. Ply Gem is an industry leader with nearly 75 years of experience. Ply Gem’s steel siding is built to withstand severe weather conditions like hail, wind, and snow - lasting a lifetime. With more than six decades of experience, EDCO engineers have used innovation to create stronger, more rigid siding to ensure flawless, tight seams and a crisp, clean appearance. 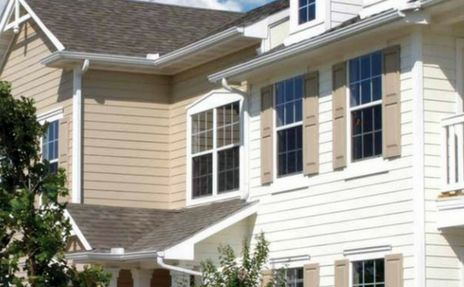 Vinyl Siding is a popular siding option for both commercial and residential buildings. It is more cost efficient than steel siding yet still provides quite the durability. Vinyl siding offers minimal exterior home care and provides impressive protection against moisture. 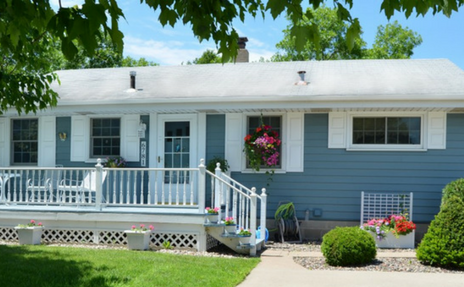 Vinyl siding never needs to be re-painted, scraped and you don't need to replace boards. Mastic by Ply Gem offers elite siding options ranging in styles, textures, colors and accessories. Delivering a look that will stand out and the sophistication of wood with little to no maintenance! Variform by Ply Gem is a vinyl siding designed to be as maintenance-free as possible. There are many options from insulated siding, lap siding, vertical siding, and more! 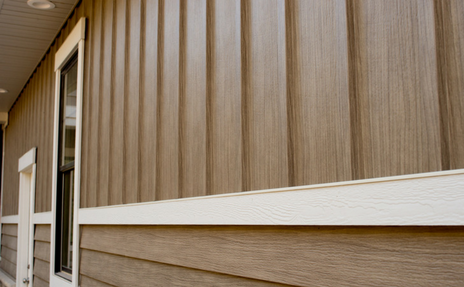 Traditionally, American homes utilize lap siding due to the simple, clean lines and ease of installation. Vortex Siding is most commonly used to protect from the worst weather. Providing unique looks and truly astonishing character, Sterling Carpet One also carries Cedar Shake Siding which come in a few different styles. Houses and commercial buildings can be done entirely in shake siding or use shake siding as accents to add rich dark hues to your palette for a rustic look. Used as traditional siding for many years, shakes and shingles provide a unique and elaborately decorated look to any home exterior. Hand-split shingles are used to achieve a rustic and textured look or as accents. Perfection shingle siding has more of a finished look than the traditional hand-split shingle siding offering a cleaner and more uniform appearance. Round-cut siding also known as half-round or fish scale shingles, offers a quaint, cozy cottage appeal and are most often used as accents in many Victorian and Bungalow architectures.